A tube containing 12 colored pencils in bright colours. 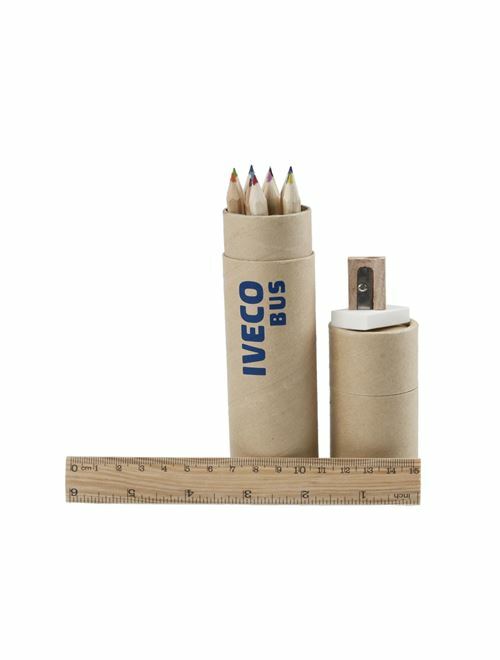 Also included is 1 wooden ruler, 1 rubber and a pencil sharpener. Tube is customised with a blue Iveco Bus logo. Dimensions: 22.5 cm. Copyright © 2019 Iveco Bus. All rights reserved.